I’ve been planning on writing about Contac for a little while and as luck would have it, I woke up this morning with a nasty cold. I started to think about all the things I needed to do today! Catch up on my blog, Christmas shopping and all my “Mommy Duties” and my head started to spin! (and not just from the nasal congestion I was having!) Then I remembered I had Contac Cold + Flu in my medicine cupboard. Contac® Cold + Flu Day & Night can help you bounce back quickly during cold and flu season, so you can get back to filling in that ________ with more enjoyable things. 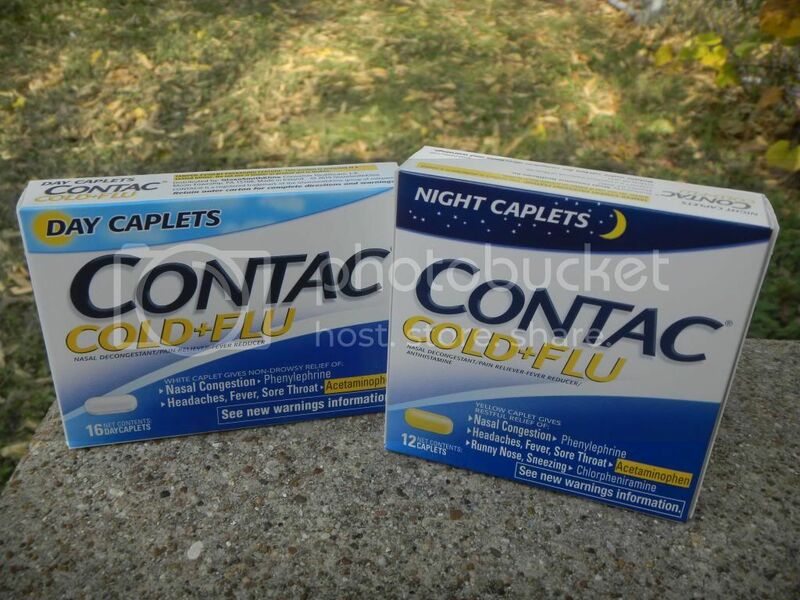 Today, not only am I back to my bubbly self after taking my Day time Contac Cold + Flu, but I also know that I’ll be able to sleep through the night and wake feeling rested with my Night Time caplet too. Within 25 minutes of taking Contac, I noticed I stopped reaching for the tissues and I even felt up to a trip to the park with by boys’ “Auntie” today. It’s something I just couldn’t have done without this medication. Because it has Acetaminophen in it too, I didn’t have to try to battle my headache with another dose of anything. Just 2 caplets every 6 hours and I’m still going strong! It’s easy to always stay stocked on things that are going to keep my boys healthy, but I’m always willing to admit that sometimes I put my own health on the back burner. 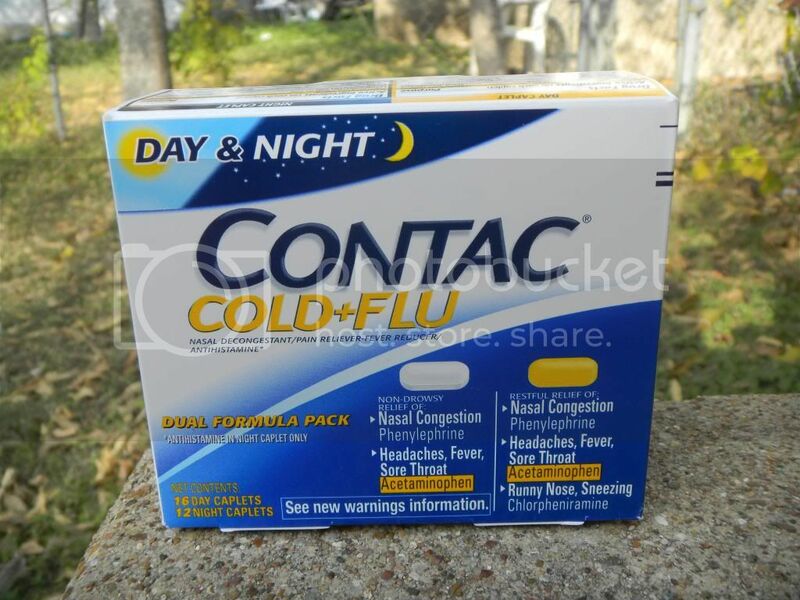 I’m SO glad I didn’t have to do that today because I had my Contac® Cold + Flu Day & Night on hand. I’d love to make the same thing possible for you! One lucky Rosy Snail reader will be able to have Contac on hand for when a cold or the Flu catch you off guard! I would rather be out with the girls having a fun time instead of being stuck in bed with a cold! I would rather be spending time with my kids and helping out with homework than being sick! I would rather be blogging, writing, reading, or crafting… just about anything! Thanks for the giveaway! I’d rather be playing with my kids and getting this house clean than being sick!